Right, father an son Jonathan and Thomas Morningstar pose for a photo together at the Hershey Convention Center during the Susquehanna Conference on June 2. Jonathan Morningstar was ordained 40 years after his father. 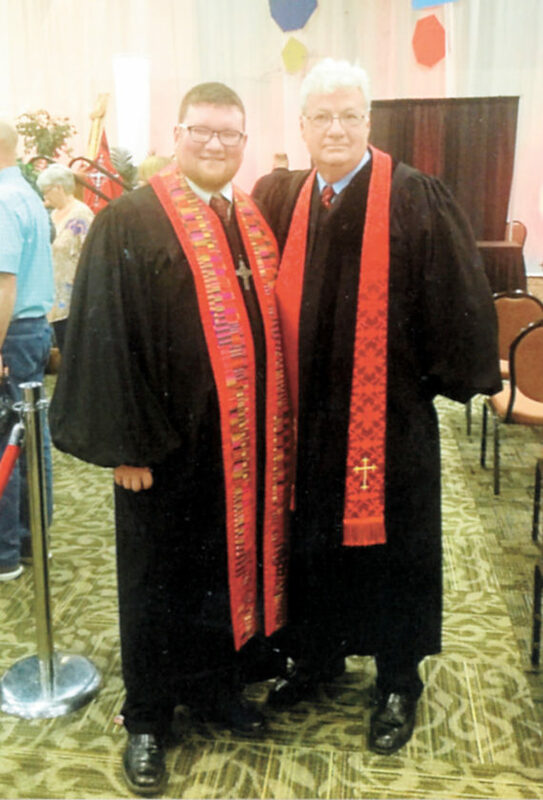 Jonathan Morningstar was ordained an elder in the United Methodist Church by the Susquehanna Conference on June 2. It was a poignant moment for his father, the Rev. Thomas Morningstar, of Lewistown, who served Yeagertown and Rhodes Memorial United Methodist churches 1992-2014. Because it was exactly 40 years before, in June 1978, that Tom Morningstar was ordained as an elder in the old Central Pennsylvania Conference of the United Methodist Church, Pastor Thomas Morningstar was able to be present at Pastor Jonathan Morningstar’s ordination, which was held at the Hershey Lodge. 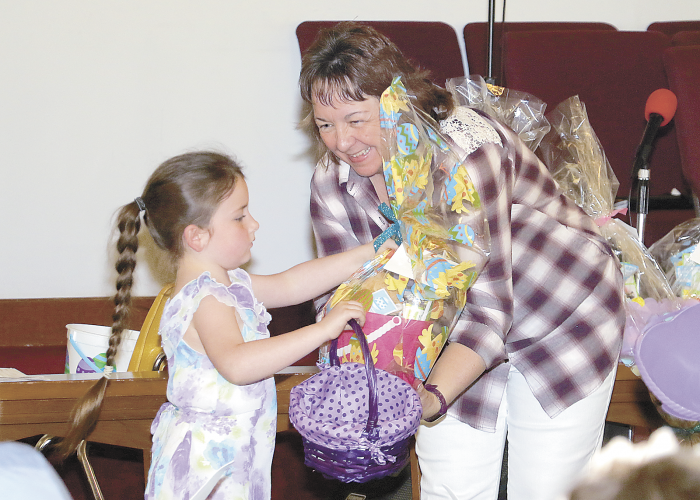 Jonathan’s wife, Amanda, son Dietrich, and mother, Carol, were also at the occasion to watch the continuation of ministry which had first begun when Tom accepted the first job of seventh grade Sunday school teacher in January 1970 at his home church, Fifteenth Street United Methodist in Huntingdon. Jonathan Morningstar was a 2002 graduate of Indian Valley High School, a 2006 graduate of Messiah College and a 2013 graduate of Eastern Mennonite Seminary.